The Tecnifibre Court are pressurized tennis balls that can be used on all court surfaces and provide a blend of speed and feel, as well as improved strength and durability ensured by Grand Touring formula rubber. They have an approval of the International Tennis Federation (ITF) and French Tennis Federation (FTF) and will be clearly visible from all areas of the court due to fluoro felt. 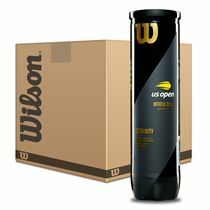 The balls come in a 12-dozen pack (36 pressurized cans of 4 balls each). 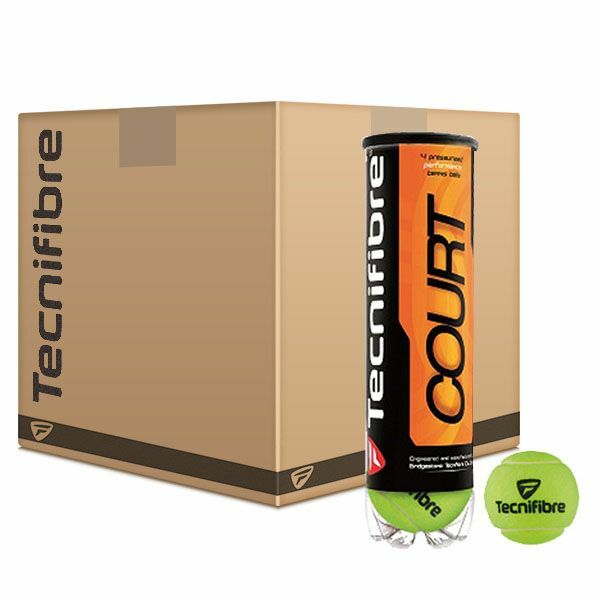 for submitting product information about Tecnifibre Court Tennis Balls - 12 Dozen We aim to answer all questions within 2-3 days. 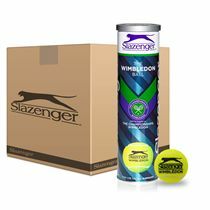 for submitting product information about Tecnifibre Court Tennis Balls - 12 Dozen. We aim to answer all questions within 2-3 days. If you provided your name and email address, we will email you as soon as the answer is published. for submitting product review about Tecnifibre Court Tennis Balls - 12 Dozen.